The 2013 Ultimate Amateur Golf Event gets a little more serious this week as the 32 participants find out who they will be sponsored by (in conjunction with THP). Each night THP is announcing 4 golfers and their respective manufacturer that will be with them for the journey of their lifetime. 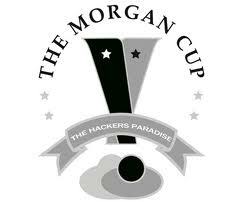 Golfers will have a staff bag full of clubs and full apparel scripting done by one of the four companies involved with the 2013 Morgan Cup. Cobra PUMA Golf, Callaway Golf, Cleveland/Srixon Golf and Bridgestone Golf will each have a staff of eight golfers in the Ultimate Amateur Golf Event held at True Blue and Caledonia next July. Join us each evening at 7pm EST as Team Hackers, Team Paradise, Team Albatross and Team DotCom find out which players are staffed with what incredible golf gear. You can follow along with each announcement right here in the THP Forum. How Good Was Rory McIlroy in 2012? Such a great next step on the road to the greatest experience an everyday golfer could ask for. No matter the pairings, I know this year’s selection will continue the tradition and rep to the extreme! Congrats ahead of time guys! Pretty cool seeing my fellow Morgan cuppers get their sponsor assignments today. Amol,with Bridgestone, Dan with Cleveland, Nate with Callaway and Tyler with Cobra. 6 days left and 24 more assignments. Great night one and great start to the selection process! Can’t wait to see the other MC’ers go next! Exciting times as the staffers are matched with their sponsor and the entire experience gets a bit more “real” for all the participants. Looking forward to 7PM EST all week long!! Always exciting to see those matched with sponsors! This has been a great week with lots of excitement at THP! CALLAWAY is not my sponsor for the 2013 Morgan Cup! what a fun ride to get here and i know its just begun!